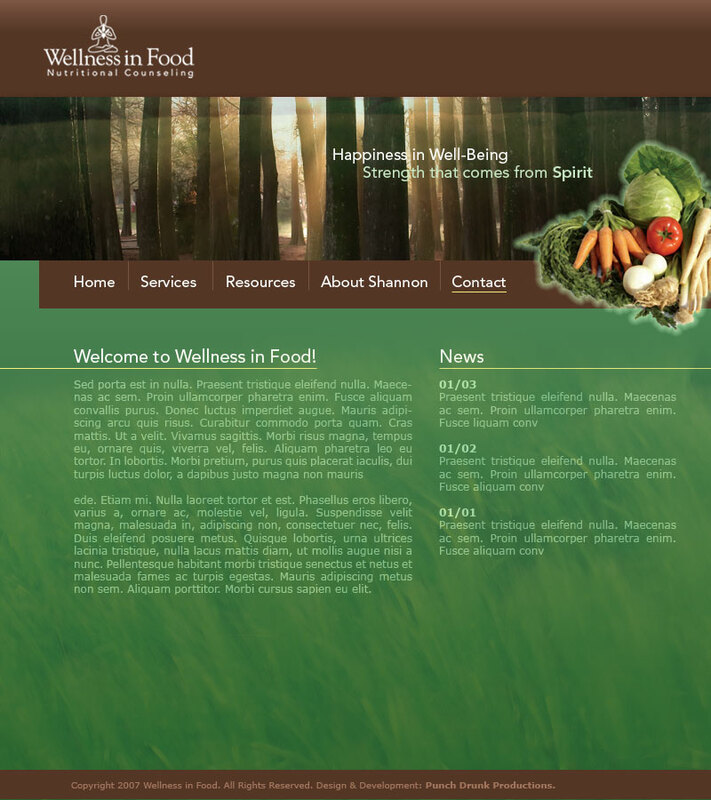 I created the website and business cards for Wellness in Food, a consulting business that helps people find help with health concerns through a holistic, food-based approach. Website focuses on natural elements, and uses a forest theme as direction. 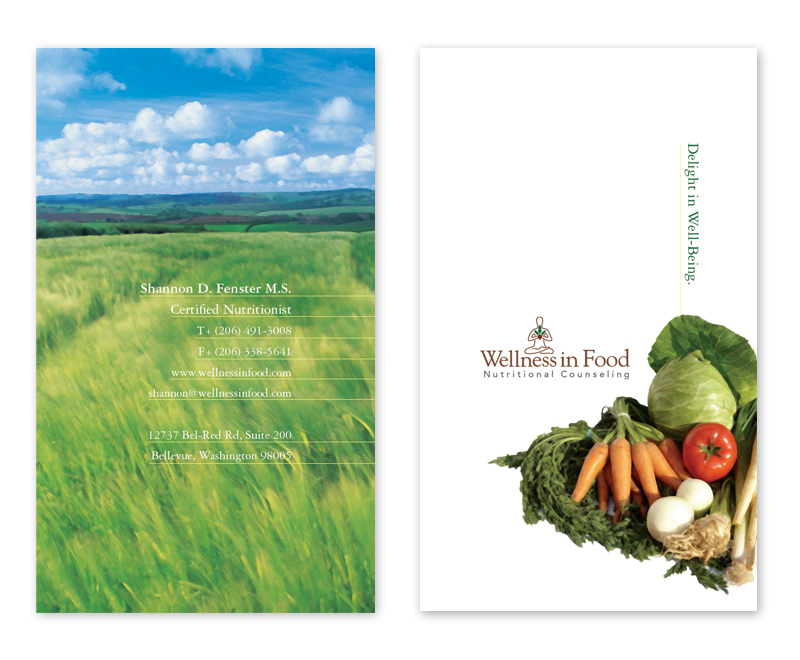 The business cards extend the natural, food theme into a light airy design that features farmland and produce. 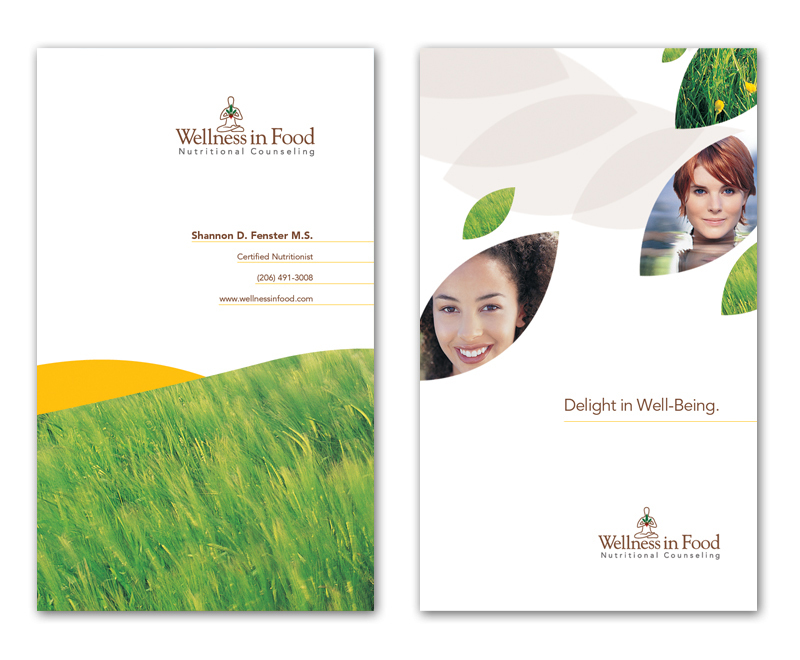 Other concepts for business cards that focus on the lifestyle and look at healthy happy individuals.